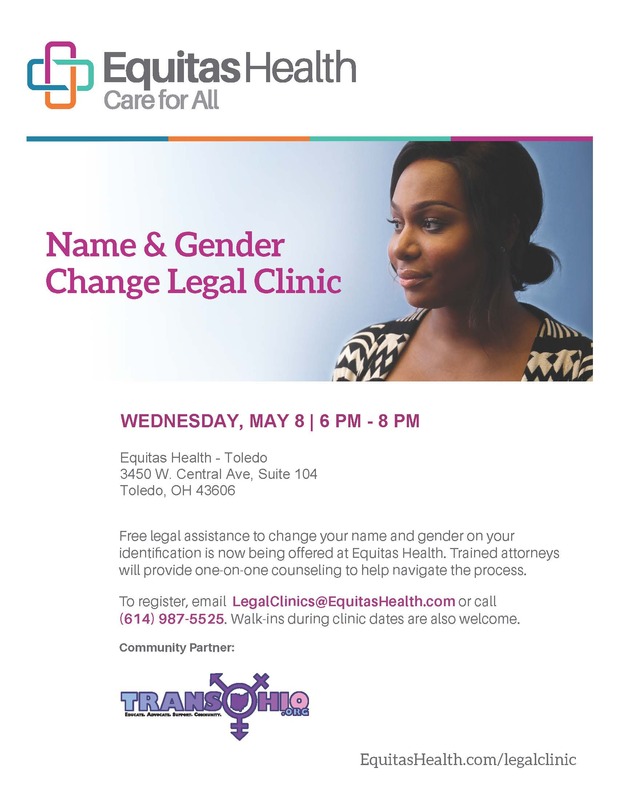 Free legal assistance to change your name and gender on your identification is now being offered at Equitas Health. To register, email LegalClinics@EquitasHealth.com or call (614)987-5525. Walk-ins also welcome.